Sextants have a small telescope-like optical sight to take precise angle measurements between pairs of stars from land or sea, enabling navigation without computer assistance. Sextants have been used by sailors for centuries, and NASA’s Gemini missions conducted the first sextant sightings from a spacecraft. Designers built a sextant into Apollo vehicles as a navigation backup in the event the crew lost communications from their spacecraft, and Jim Lovell demonstrated on Apollo 8 that sextant navigation could return a space vehicle home. Astronauts conducted additional sextant experiments on Skylab. 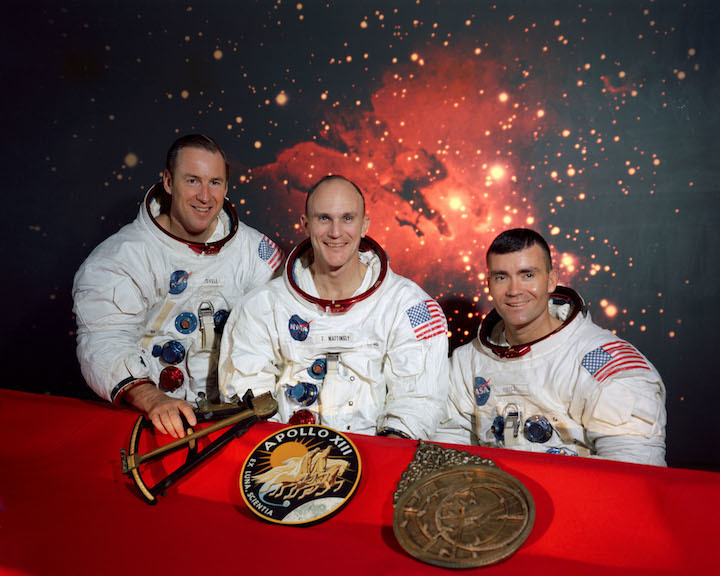 Jim Lovell demonstrated on Apollo 8 that sextant navigation could return a space vehicle home. 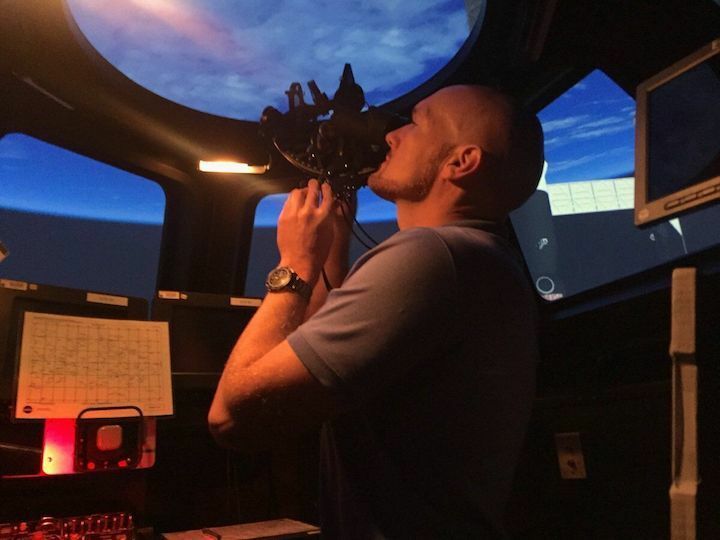 The investigation tests specific techniques, focusing on stability, for possibly using a sextant for emergency navigation on space vehicles such as Orion. With the right techniques, crews can use the tool to navigate their way home based on angles between the moon or planets and stars, even if communications and computers become compromised. Early explorers put a lot of effort into refining sextants to be compact and relatively easy to use. The tool’s operational simplicity and spaceflight heritage make it a good candidate for further investigation as backup navigation. 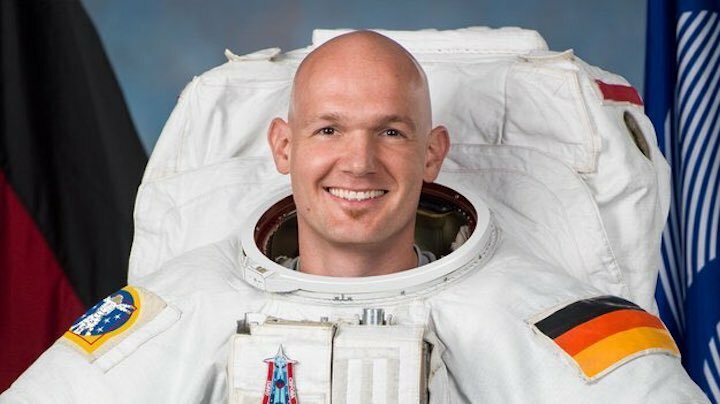 Der ESA-Astronaut Alexander Gerst (42) hat heute das Kommando auf der Internationalen Raumstation (ISS) übernommen. Damit ist er der erste deutsche Chef im Weltall. Gerst war Anfang Juni zur ISS geflogen und wird Mitte Dezember zurück zur Erde kommen. Die Kommando-Übergabe fand in einer kurzen Zeremonie auf der ISS statt, der „Change of Command-Ceremony“. 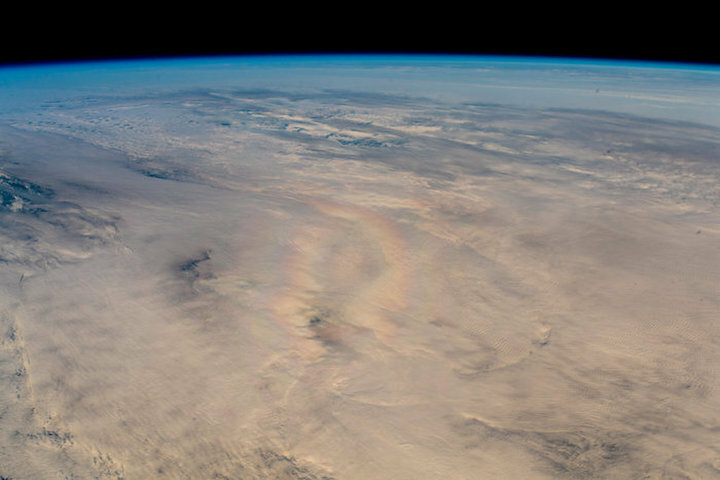 US-Astronaut Andrew Feustel hatte vor Gerst das Sagen auf der ISS. Alex Gerst hat als Kommandant auf der Raumstation eine Reihe von Aufgaben. Im Gespräch mit BILD hatte er sie vor seinem Start erläutert: „Ich muss darauf achten, dass es der gesamten Crew gut geht, das sind sechs Leute. Es ist wichtig, dass niemand überlastet ist, dass die Stimmung an Bord passt und die Kommunikation zur Bodenstation funktioniert. In Notfall-Situationen muss ich als Kommandant Befehle geben. Die drei großen Notfälle, die der Crew dort oben sehr gefährlich werden können sind ein Feuer, ein Loch in der Außenhaut der Raumstation durch herumfliegenden Weltraumschrott oder ein Leck im Kühlsystem, durch das Ammoniak in die Station gelangt. Letzteres ist extrem gefährlich, weil Ammoniak sehr giftig ist. 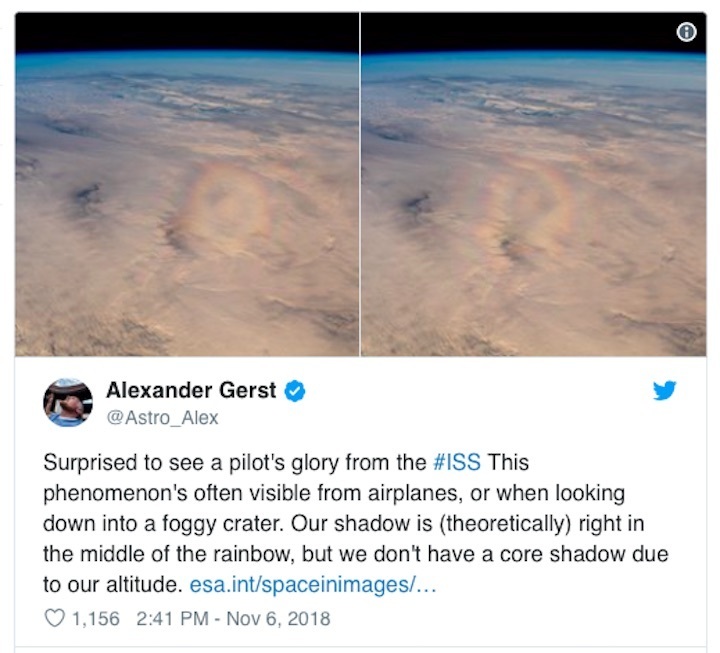 Bisher gab es noch keinen großen Notfall auf der ISS. 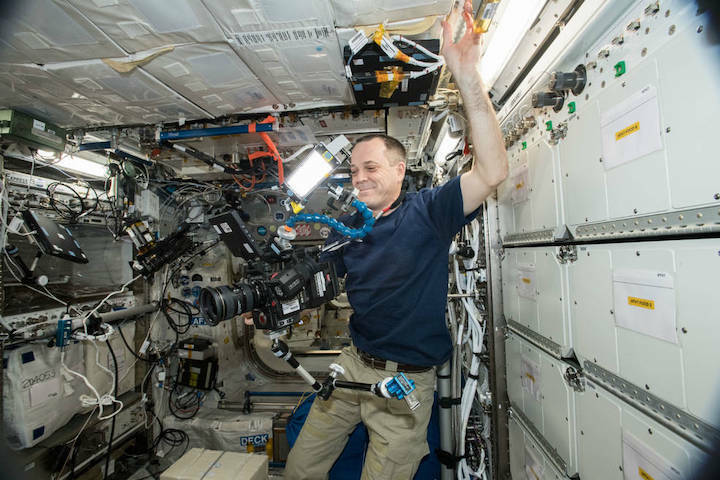 A NASA astronaut will swap command of the International Space Station with a European Space Agency (ESA) astronaut Wednesday at 10:10 a.m. live on NASA TV. 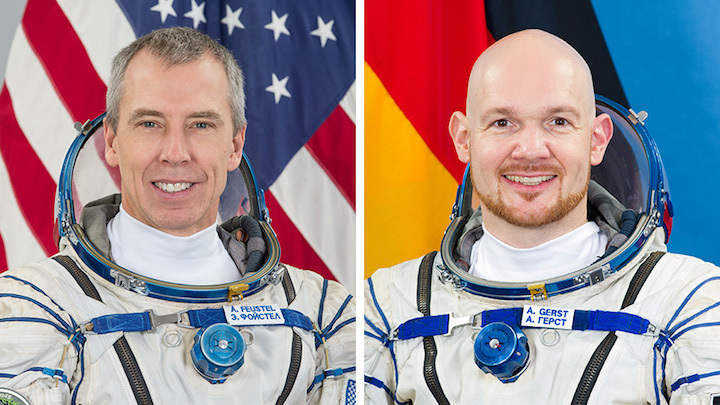 Expedition 56 Commander Drew Feustelwill be handing the station “keys” over to German astronaut Alexander Gerst during the traditional change of command ceremony. 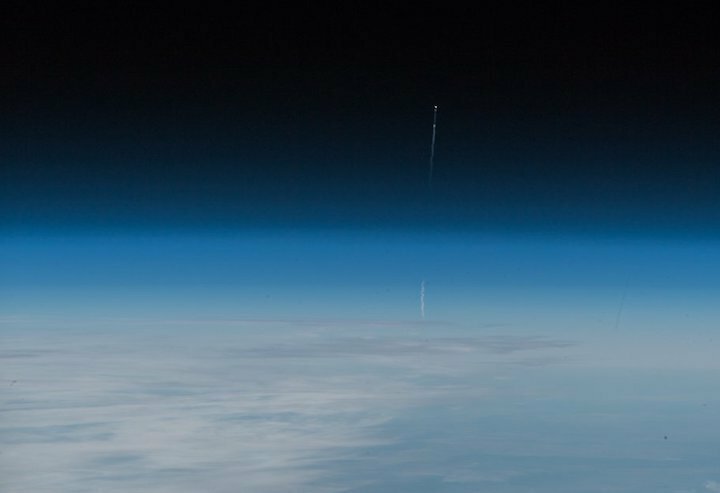 This morning's #Soyuz launch failure was captured on camera from the ISS by @Astro_Alex. 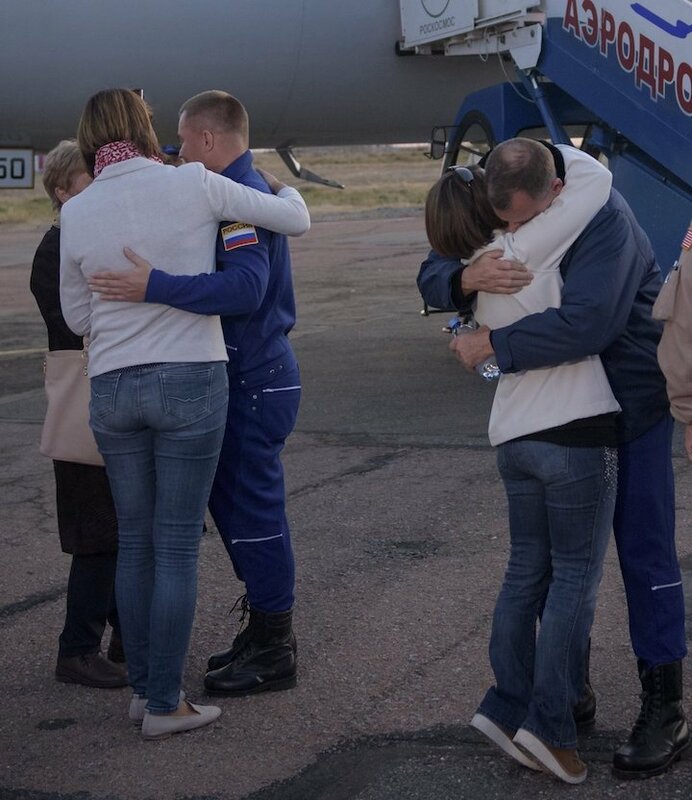 Dieses Bild der beiden Raumfahrer aus Russland und USA, die heute im #Sojus-Raumschiff saßen, braucht - glaub' ich - keine weitere Erklärung. ESA astronaut Alexander Gerst set up the air and water drawer of the facility, including part of the Sabatier reactor on 10 September but was given an extra helping hand from ground control with an operational aid called the ‘mobile procedure viewer’ or mobiPV. Usually an astronaut would have a computer nearby with step-by-step instructions to follow, but anybody who has tried repairing their car or even assembling furniture will agree this way of working has room for improvement – laying down tools to consult instructions is time-consuming and interrupts the work flow. 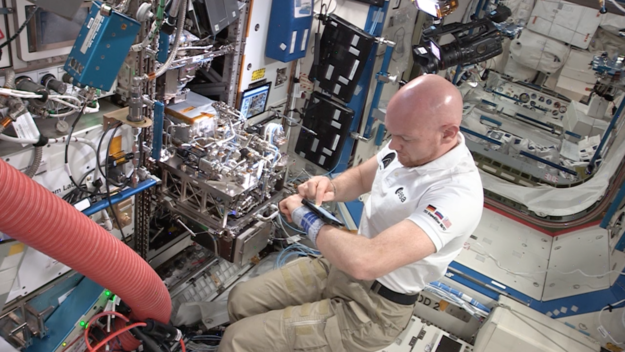 ESA’s solution to this problem sees astronauts wearing a smartphone on their wrist that connects to the Space Station’s procedure library and shows the instructions on-screen. Alexander could concentrate on the work at hand, without going back and forth to the computer. 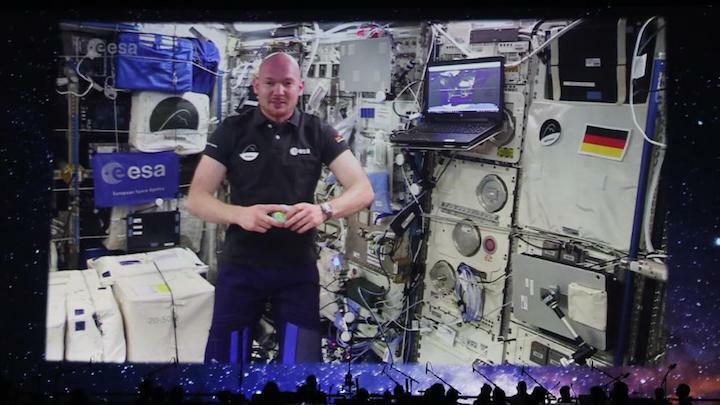 Three sites in Germany were all connected and had full awareness of the installation as Alexander progressed step-by-step: the Columbus Control Centre near Munich, the European Astronaut Centre near Cologne and the facilities’ manufacturer Airbus in Friedrichshafen. The mobile procedure viewer might seem simple but space operations allow little room for error and overcome technological challenges. 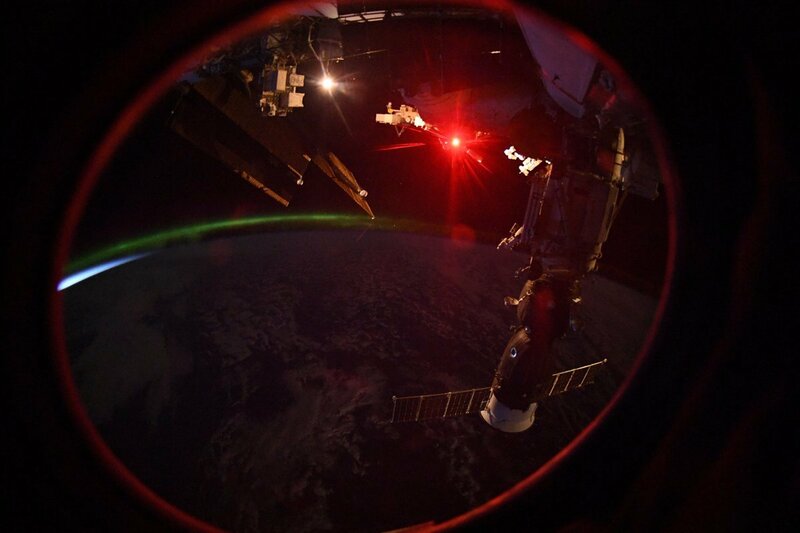 As the Space Station orbits Earth it loses radio contact for periods of up to eight minutes at a time. Alexander continued working during the periodic loss of signal but once communications were reestablished, mobiPV automatically and quickly brought all four teams up to speed. 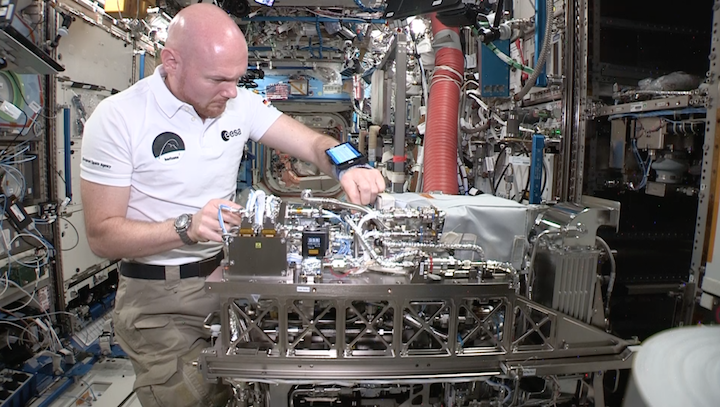 David Martínez, lead ESA engineer for MobiPV comments "It was a great day to see our product work so well to help an astronaut install such complex hardware in space, making his life easier and also doing our part for future exploration." Cimon wiegt etwa 5 Kilogramm und besitzt ein Display. Mithilfe des Technologieexperiments soll die Arbeit von Astronautinnen und Astronauten unterstützt und Effizienz gesteigert werden. Hierzu werden Informationen, die für die Durchführung wissenschaftlicher Experimente und Reparaturen benötigt werden, auf Cimons Bildschirm angezeigt und erläutert. Das Experiment Cimon kann darüber hinaus mobil Fotos und Videos aufnehmen, Experimente dokumentieren, Objekte suchen und Inventar führen. Cimon kann sehen, hören und verstehen, was es beobachtet. Der Technologiedemonstrator ist zudem mit einem autonomen Navigationssystem ausgestattet, sodass Alexander Gerst Sprachbefehle geben kann, ähnlich wie bei den bekannten virtuellen Assistenten Alexa, Siri oder Cortana. Nachdem Alexander am Donnerstag, den 15. November, auf der Internationalen Raumstation ISS Cimon aus seiner Box nahm, erweckte er das Experiment mit den Worten „Wach auf, Cimon!“. Cimon antwortete darauf mit der folgenden Frage: „Was kann ich für dich tun?“. (Anmerkung der Redaktion: Sprachkommando sowie Antwort erfolgten in englischer Sprache). 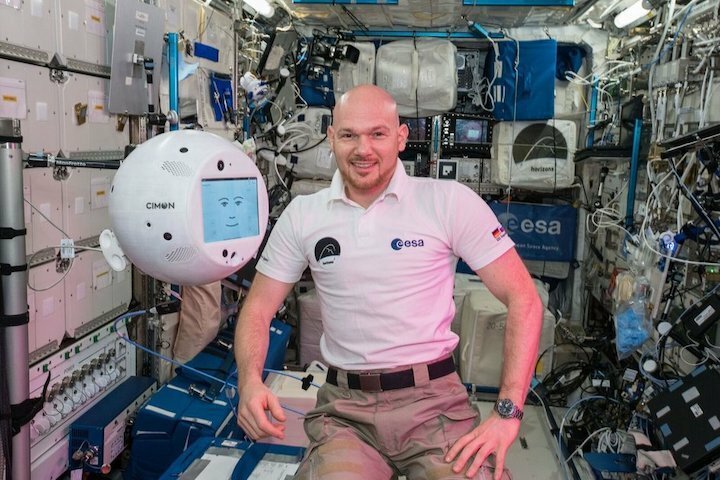 Während des ersten Ausflugs auf der ISS demonstrierte Cimon einige seiner Fähigkeiten: Es suchte und erkannte Alexander Gersts Gesicht, nahm Fotos und Videos auf, zeigte Anweisungen für ein Schülerexperiment zur Kristallbildung sowie einen Clip zur Lösung eines Zauberwürfels. Auf Alexander Gersts Wunsch spielte er ebenfalls eines seiner Lieblingslieder ab – natürlich war es ein Track von Kraftwerk. Alle Beteiligten sind zufrieden mit dem Technologieexperiment. Daher hoffen sowohl Cimons Entwickler als auch Alexander Gerst Cimon bald wieder in Aktion zu sehen. Obwohl während der aktuellen Horizons-Mission vorerst keine weiteren Einsätze geplant sind, könnte dieses Experiment den Beginn einer spannenden Zusammenarbeit zwischen Astronauten, Roboterassistenten und möglichen zukünftigen Künstlichen Intelligenz-Anwendungen im Weltraum markieren.